There are five boroughs in New York, four of them are on the islands, and only one, the Bronx, on the main land. The largest borough is Manhattan and Brooklyn is the next. Brooklyn is located in the southern- eastern part of Long Island and is separated from Manhattan by East River, that is not a river at all but a very deep bay. There is Hudson river that separates Manhattan from New Jersey, and Harlem river to the north is a border between Manhattan and the Bronx. 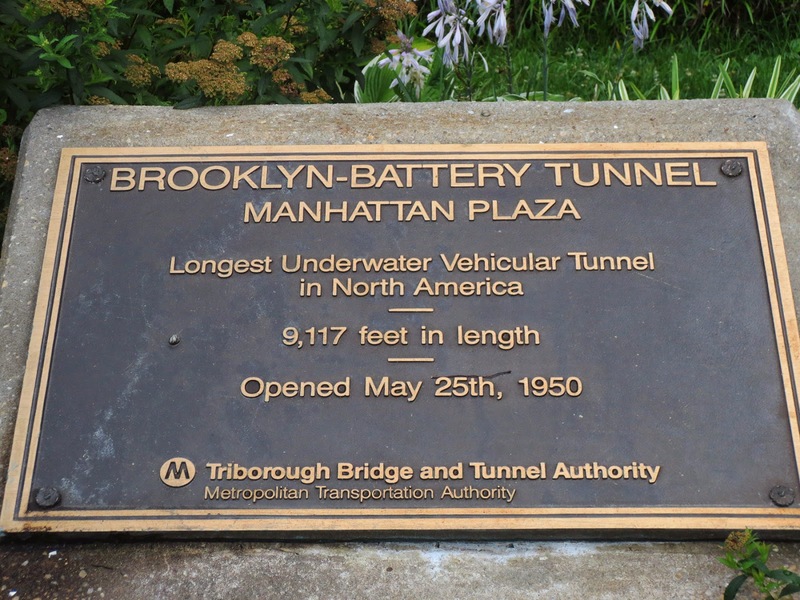 There are three bridges connecting Long Island and Manhattan - Brooklyn Bridge, Manhattan bridge and Williamsburg Bridge, and one tunnel - the longest continuous underwater road in North America - Brooklyn Battery Tunnel. There are four traffic lanes in the tunnel l and the length is about nine thousand feet ( 2.7 km). 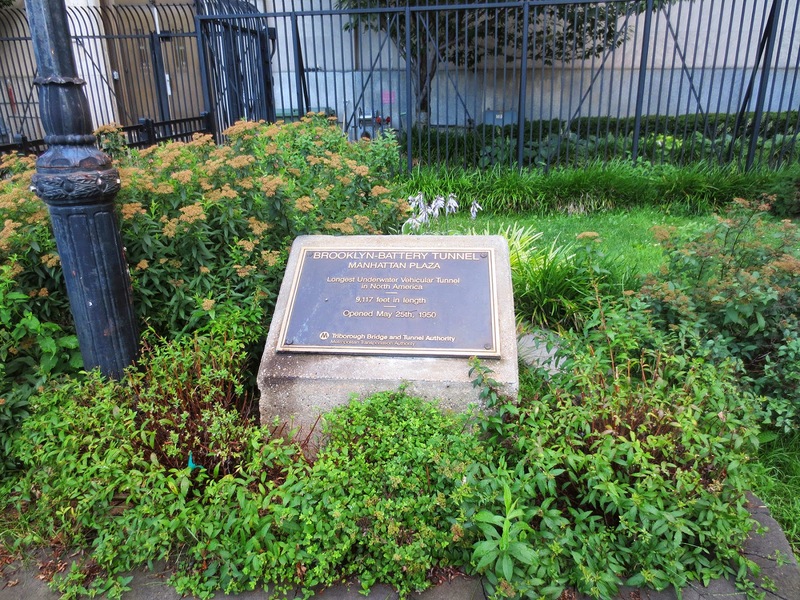 The Battery in the tunnel's name refers to the southernmost tip of Manhattan, site of an artillery battery during the earliest days of New York City. 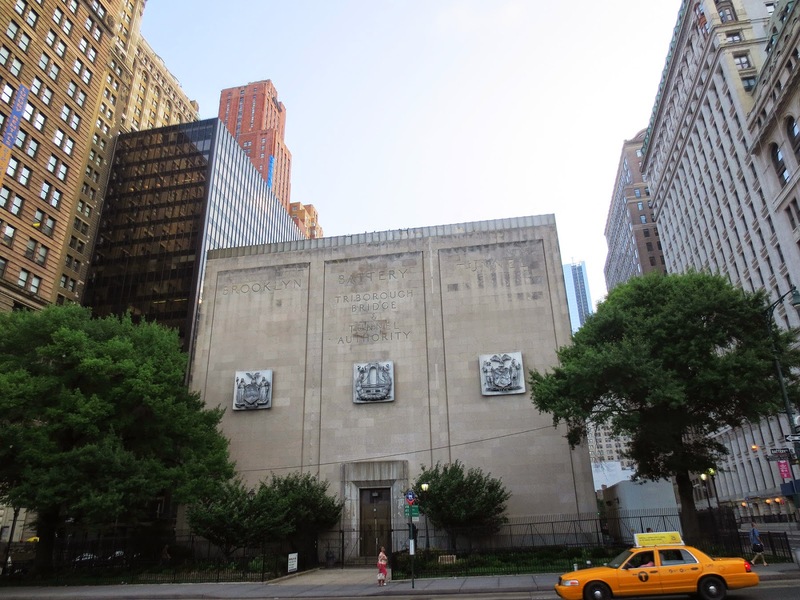 It has a total of four huge ventilation buildings: two in Manhattan, one in Brooklyn, and one on Governors Island that can completely cycle the air inside the tunnel every 90 seconds. There four ventilation buildings that can completely change the air inside the tunnel. Brooklyn Bridge was built in 1883, Williamsburg bridge was open twenty years later in 1903 and in 1909 Manhattan bridge was built. The city was developing very quickly. Look at the numbers: in 1910 there were about 4.7 million people in New York and thirty years later-almost 7 million! Robert Moses ( 1888 – 1981) was the "master builder" of New York at that time and he proposed to build a new Brooklyn-Battery bridge connection Downtown and Brooklyn. The tunnel was hugely expensive to build in 1940. Bridges can be wider and cheaper to build but tall bridges use more ramp space at landfall than tunnels. Objections to a bridge abounded from the public and other city officials. President Franklin Roosevelt insisted that it was a matter of national security since a bridge between the harbor and the Brooklyn Navy Yards upriver could be a risk to national defense. Construction started in 1940. The federal government postponed the project in October 1942 to conserve steel and iron for World War II. The tunnel was opened to traffic in 1950. The tunnel was designed by Ole Singstad, Norwegian-American civil engineer who innovated the ventilation system for the Holland Tunnel. Singstad also designed Lincoln Tunnel under the Hudson River, connecting New Jersey and Midtown Manhattan. 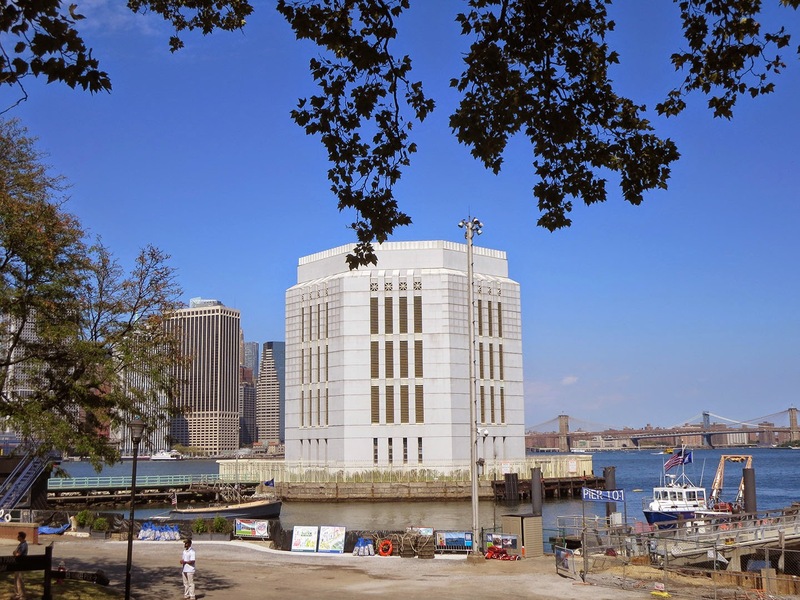 The Brooklyn-Battery Tunnel passes underwater and off-shore of the Governors Island northeast corner, its location marked by a ventilation building connected to the island by a causeway. The tunnel was closed in advance of Hurricane Sandy in the fall of 2012. 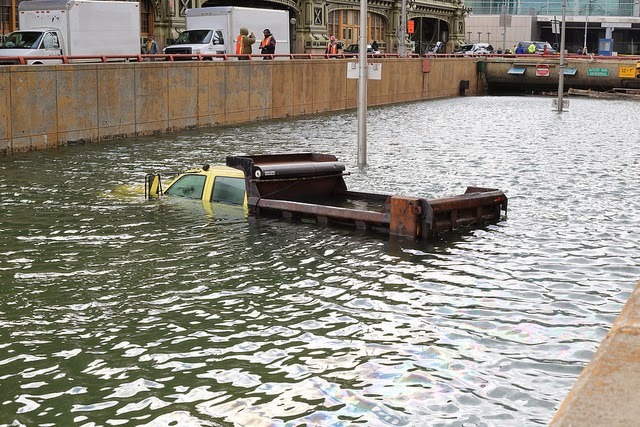 During the storm surge, it was completely flooded. Some 86 million gallons of water had to be pumped out before it could be reopened nearly two weeks after the storm. The tunnel was officially renamed the Hugh L. Carey ( on October 22, 2012, but almost nobody know it ( except Google, of course) . Hugh L. Carey was governor of New York in the 1970s. He took control of the state’s reeling finances and was credited with saving New York City from bankruptcy.